that a Sign? Or is she on to you?! 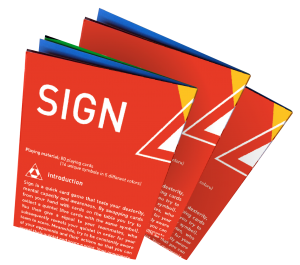 Sign is a quick and fast-paced card game designed for friend or family. It can be described as a mix of Poker and Set because of the intricate card design. 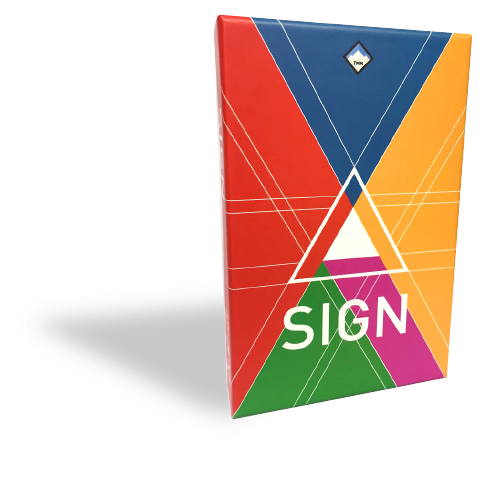 Sign plays fast, which makes it an ideal evening starter or can be played at cafés or bars. Players form teams and create non-verbal signs in order to win. 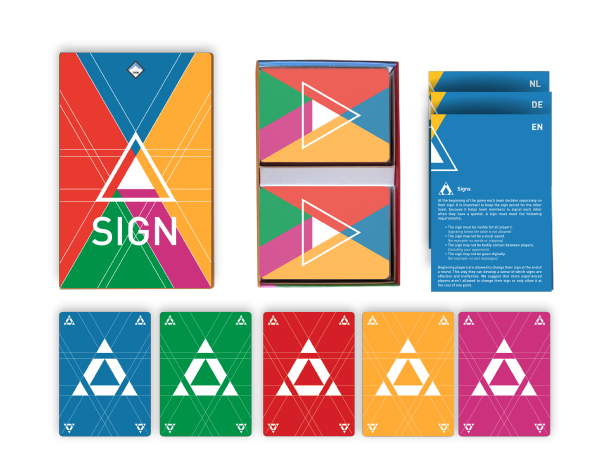 Once a round begins players have to collect a set of five cards with the same symbol. The rules seem simple, but it quickly becomes difficult when you have to pay attention to all the players and collect cards at the same time, without turns. What people say about Sign? Where can I buy Sign? No shops nearby? No problem, you can just contact us. We ship Sign worldwide.